Pastel is primarily associated with freshwater and softness. Therefore, pastel colors very suitable for baby or children's rooms. These soft pastel fabric with fine stripes is quite nice for the baby or child's room. This fabric is perfect for decorating a girl's room. 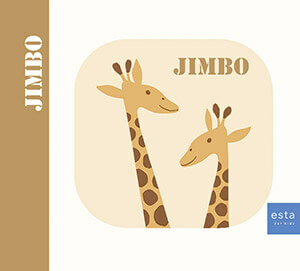 You will find this fabric with stripes in pastels (185704) the collections Jimbo and Giggle.